Our focus is 100% retail. 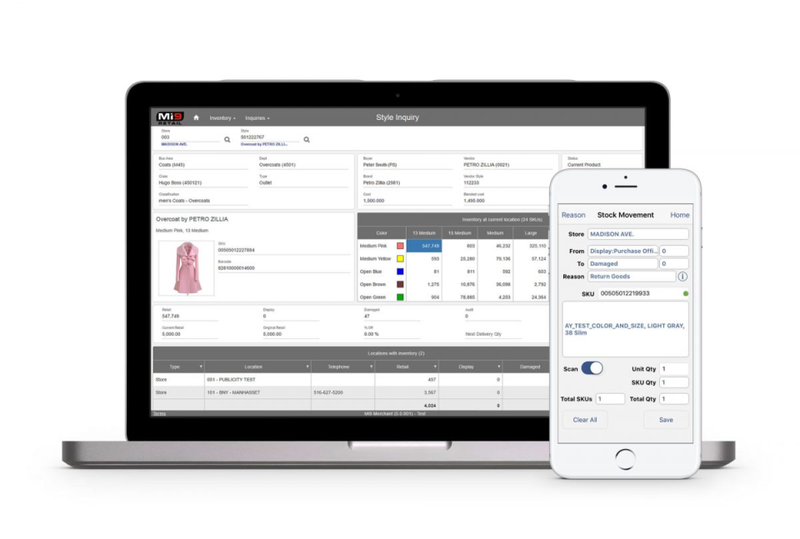 Mi9 Merchant is the only merchandising system developed from the ground up to include a fully-integrated business intelligence system for enterprise-level retailers. All the information generated from transaction processing is immediately fed to the Intelligence data warehouse. Retail merchants, operations, and financial personnel can access this central data repository for the critical decision-making information needed to effectively run the business, all in real-time. Mi9 Merchant Reviews Recently Reviewed! Best Value/Most feature rich ecommerce platform on the market today. Comments: I've built well over 4 different businesses on Upshot and had wonderful results. Overall the system is very customizable, allowing us to accomplish all of our business goals. The shear number of features is both a pro and a con. On the pro side, there is almost nothing that you need to add to get a deep commerce experience. A single feature that is included can cost $1000s on other platforms. There are a number of those. If anything, there are so many features, that it can take a little longer to set up as you decide what you want to use and what you don't. I've looked at a number of solutions and none offer the right combinations of features all included in one package. The folks there really know ecommerce, they've seen so many different businesses, that they can do practically anything. Even when we gave them curve balls they would make it work. They have a really nice team to work with. It was nice that there was one neck to throttle if there were any issues, and occasionally there were, as with any software that is to be expected. Most of the time they were resolved after a few moments. The software isn't flashy as some other products, which I think gets mistaken for being out dated or not as intuitive. We didn't need an order management software, or shipping software, or search software, or loyalty software - it was all there. Anytime we looked at something that was marginally better in one of those verticals, as it was their single focus, the cost was more than the entire system. I would recommend this for any mid to large ecommerce business. A simple starter site would be better off going to a simple storefront. But if you are doing real business, you want something that can both scale and pivot with you. Pros: The reporting function is amazing! It is easy to create standing reports, manipulate the data, and produces them at a quick rate. Cons: I have no cons with MI9! I have struggled with so many retail softwares and this one is by far the best. Comments: Many years ago I was looking for a flexible data base driven web solution. Upshot had the solution I was looking for. We needed a database driven product so that changes could be made daily without going to individual items. We have over 4000 items on our site and to change quantities or descriptions individually would be a big problem. We can make changes throughout the day to our in-house computer system, create a database in minutes, upload a new database and changes take place automatically. When setting up the web site, Upshot was able to make modification to address our needs. We wanted certain items to display quantities and certain items to not display quantities. We also wanted flags for limited quantity items and new items. All these changes were made with little or no difficulty. As we added features to our web site Upshot was able to make the adjustments. When we added PayPal Upshot had a module already in place. Recently we went to a custom token credit card system and Upshot was able to adapt the new credit card system to our web site with few problems. If you want a simple, database driven solution that is up gradable and flexible Upshot is for you. Pros: Mi9 is really similar to other retail POS programs but incorporates different needs for different uses and I find it really helpful if trained properly. Cons: If you were to throw someone into the program with only the training manual provided a lot of the benefits of the program will be missed. I would make sure to play with it to ensure full use of the program. Comments: I could tell you about the reliability if the software, I could tell you about the security, the features, the speed, I could tell you that I think Upshot has all of this and is amazing and that would be true. The software is amazing. I think when you think about an e-commerce platform you need to think about a partner in propelling your business forward. Far to often software is a stumbling block to growth. That is not the case with Upshot, their service is what amazes me. For a company that primarily sells software to traditional retailer to be able to customize their platform to allow me to run my photo agency, it is amazing. Upshot has modified and created software that allows us to process 3000 photos every day, and warehouse 2 million images (that is like 2 million products) on our platform. The team at Upshot has helped propel my business forward, and has been a great partner for all of these years. Thanks! Comments: Upshot Commerce is a great ecommerce solution for growing businesses looking to improve their online sales and conversion. Rich features like Product Reviews, Registry, Sale Alerts, Loyalty Program, and Wishlist (among many others) are integrated natively into the platform making extensibility easy. The backend toolkit is user friendly, but doesn't sacrifice functionality in it's ability to create products, categories, manage site content and manage orders. Upshot can grow with your companies business and technical skills as well. Many site administration and product catalog features are point and click. Modifying site templates is straightforward and adding custom landing pages, microsites, HTML/CSS or JS is also supported. The customer support provided by Upshot is responsive, helpful appeals to all skill levels. On the month of February 2014, I got the opportunity of E-Franchise-ship to sell multiple products online from India's premier brands in segment of DIAMONDs, GOLDs, SILVERs & GIFTs of company "GITANJALI GROUP"
I am a one man show here at Hazelnut Kids and Upshot allows me to have a larger presence online and keeps everything integrated with minimal effort from me. And if I ever need assistance with any aspect of Hazelnut Kids's website, I only have one person to call! Comments: We have been with Upshot Commerce for coming on 10 years. They have been an outstanding technology partner for us. Their feature rich and highly adaptable system has allowed us to stay on the cutting edge of e-commerce technology in a fast changing business landscape. We migrated to their new platform over the past 12 months and could not be happier with the results. The Upshot team provided an unprecedented level of support in the upgrade process, and we are thrilled with the results. Their customer service and response time is outstanding. Thank you Upshot Commerce! Comments: Working closely with Upshot for the past couple of years, they've always been helpful and are always there to answer my many questions and concerns. Whenever there is a new feature that we want offered, Upshot always has a 'can do' attitude and is always determined to make it work. During our large promotions, Upshot supports us by making sure everything runs smoothly and if there is an issue, there is always someone to help us out. We've always considered Upshot as being a part of our team. Comments: We've worked with Upshot Commerce for 10+ years and transitioned to their current platform in November 2013 and have been thrilled with the result. The design and implementation was challenging and a lot of work on our part but the new system has been transformative. Our sales for January (our busiest month of the year) were are up over 30% from last year. Again, not all due to US but the new system is certainly a factor. And more importantly, we handled the growth with almost no new staff. Comments: After making a lot of research to find a simple solution for my ecommerce I came across Upshot and I am using this platform for the past 3 years. We have 140,000 different items and 250,000 pictures associated with those. The system is very solid and the back end for the transaction is simple and easy to use. I do not regret my choice at all. I am actually developing a new platform and I will use them again. The service is always there when we need to customize the pages etc. Good job! For this developer, Upshot is where it's at. Comments: Ergobaby started with Upshot many many years ago when Upshot was known as Make-A-Store. That company, under any name, has been beyond stellar and helpful for the Ergobaby (and Orbit Baby) online presence and revenue growth in these past years. Whether doing complete development work for us or assisting with inane little tasks, Upshot's crew have always been there for us. The Upshot admin interface is a breeze to use, and offers lots of options for building extended functionality. Comments: While we were reluctant and fearful to switch from Magento to Upshot, we made the move and it was a smart one. They migrated our entire website over to their platform within 6 weeks. We had a few highly customizable elements to our site as well and they were able to execute. Their entire team are problem solvers and good communicators, which made it easy to keep evolving. I would definitely recommend Upshot Commerce. Do not spend your money here. Comments: Made one of the worst business decisions of my career signing up with this e-commerce platform. Not only did it take almost 7 months to go live because of mistakes and inconsistencies within the platform, once we went live, the comedy of errors was unbelievable. Top to bottom, left to right my experience with this platform was miserable. It cost me hundreds of thousands of dollars in lost business, lost customers, and time and money spent trying to get things to work. If faking it and using duck tape is in your wheelhouse then maybe this will work for you. It took us a year to get out. If I could have given them an minus three stars I would have. Giving one star is generous. Hope this will save you the time and money that I lost. Please feel free to contact me for specifics. I have many. Comments: Upshot has been a great company to work with since our company started 5 years ago. They've customized the system to meet our needs as we've continued to grow over the years. The best part of Upshot is their Customer Service. They respond to you the same day, and can quickly implement customized changes to your system. Comments: We have been using the UpShot Commerce platform since the late 1990's and are thrilled with their robust offering. From customizing to our specific needs to their top-notch support, UpShot has allowed us to continuously grow and evolve in an industry that requires constant change. I'd highly recommend it. Comments: Upshot Commerce gives us great care year after year! We are seeing some great improvement since launching the responsive design. Super happy with how things are improving! Since the re-designing of the site we have been setting records month after month! Really happy with how our growth shot up! Comments: Great product, great team to work with. If they don't have a solution "out of the box", they will work hard to customize one. We have used Upshot exclusively for our website back-end and design needs for years. We are very Happy Customers, Highly Reccommended. Comments: We enjoy the upshot commerce platform. The platform is easily customized, reliable, secure, and the back office is a dream come true.